The existence of the Canadian Fossil Discovery Centre (CFDC) is a bit of a quirk. Bentonite, (a mineral used as a binding agent in cattle feed, in oil reclamation, and as a filtering agent in cosmetics and detergents), was discovered in the Pembina Valley region in 1914. In 1940, the Pembina Mountain Clays Company was established in Morden. While fossils had been discovered over the years, things changed in 1974 with the discovery of “Bruce”, a 13 meter (42.7 feet) long mosasaur. By 1974, the general Morden Museum in the local post office was transformed into the Canadian Fossil Discovery Centre (CFDC) in a newly located Morden Recreation Centre, including a full display of “Bruce”. For almost a decade, the CFDC has been pursuing a larger venue as they work towards adding new attractions for visitors. The popularity of the research about the CFDC led to a larger project of museums across southwestern Manitoba. Rural communities throughout the world struggle to maintain livelihoods. One response to losses of traditional economies (e.g., agriculture, mining, fishing, forestry) is tourism development. Tourism products include the natural environment, cultural heritage, or something completely different (e.g., Vulcan, Alberta and Star Trek!). Urban regions are often attractions in and of themselves, with a local market and transportation hubs and connections for those travelling from afar. Given the effort and expense of accessing remote regions, the tourism products themselves are the attraction. Getting it right is therefore very important in order to be successful. This research first examined the perceptions of visitors to a rural and small town tourism attraction (Malcolm and Ramsey, 2014). A second project, based on the results of the survey, was to develop a typology of rural and small town destinations (Ramsey and Malcolm, 2017). This typology, using Morden and the CFDC as an example, showcases the rich cultural and amenity values that exist in rural and small town regions. A visitor survey was conducted at the CDFC using an intercept survey technique (n=136), whereby potential respondents are approached by the researcher to participate. The survey was administered by a research assistant to ensure quality control and maximize response rates. Visitors filled out part of the survey before and part after their visit. More than 80% of visitors intercepted agreed to participate. Participants reported high levels of satisfaction with respect to important reported expectations. However, open-ended comments indicated that some participants did not fully understand the material presented in CDFC interpretive displays; addressing this issue may help to improve interpretive message design. Visitors generally liked the layout and saw great educational value. Changes desired included a larger venue/accessibility, more interactive displays and audio/video guides. The results are helpful not only to the CFDC but other tourism attractions and destinations which are striving to improve their product and/or increase visitation. In fact, when word got out about the CFDC project, other museums contacted the researchers. 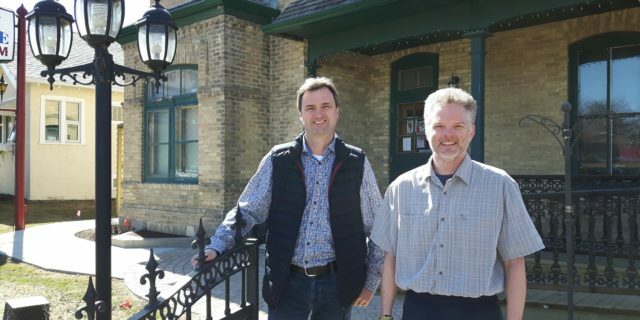 Supported through the Manitoba Museum Association, in the summers of 2015 and 2016, similar surveys were conducted in 24 community museums throughout southwestern Manitoba. The results of these projects are being analyzed with summaries to be sent to each of the participating museums. It is hoped that the recommendations made visitors will help improve already rich and diverse museum products. It is further hoped that the publication of the results will extend well beyond this immediate region. Research for both projects is approved by the Brandon University Research Ethics Committee. Dr. Ramsey is a Professor in the Department of Rural Development. His teaching and research areas include rural tourism, agricultural restructuring, and community well-being. Other recent tourism projects include cross-border shopping tourism in Europe and North America and new farmer’s markets in southern Ontario. Dr. Malcolm is an Associate Professor in the Department of Geographer. He is also the coordinator of the Environmental Science Program at Brandon University. His teaching and research areas include ecotourism, wildlife management, protected areas, education tourism, and biogeography.